Y Combinator’s webpage for today’s YC W13 Demo Day indicated the 47 startups would be “presenting in 3 groups of 16, spread throughout the day.” However, it seems from press reports (well, TechCrunch) there were only two groups of companies. In the first group, all sixteen companies had previously been covered in the press. In the second group, only one of the companies was new (Medisas). In its post of that second batch, TechCrunch basically said they were done for the day. The remaining companies all chose to speak off-the-record. There were two interesting details from today’s event. Paul Graham stated this isn’t the first time YC decreased its class size. YC W09, which contained Airbnb, was smaller than YC S08. I had previously reported YC W13 being smaller than its predecessor was the first occurrence of that. That means I was wrong. However, I had in fact noticed YC W09 before I wrote that post. And I also noticed YC S08 and YC S09 each contained approximately 20 companies. All of the numbers I have are unofficial, with some companies either missing or grouped into the wrong batch. I concluded my numbers were slightly inaccurate, resulting in the disparity between YC S08, YC W09, and YC S09. Regardless of my reasoning, though, I was wrong. The other interesting detail today was 12 of the 111 founders of this batch are women. By percentage, that 10% is the greatest number of female founders in a single YC batch. Colleen Taylor at TechCrunch spoke with Jessica Livingston, who states the growing number of women in YC is simply the result of more women applying. 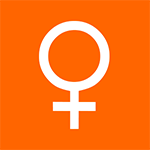 It’s not any conscious initiative by YC to accept more women. Jessica Livingston also states more women in YC W13 are serving as team leaders and CEO’s than in any previous round. Danielle Morrill, co-founder of YC S12 company Refer.ly, has profiles of 9 female founders from YC W13 at her blog DanielleMorrill.com. 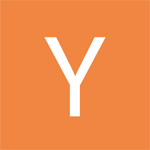 Today’s Demo Day wrapped up a YC session that follows YC S12, Y Combinator’s biggest and most controversial batch yet. I have some thoughtful observations about YC S12, YC W13, and Y Combinator in general. However, it’s all collectively worth at least one dedicated blog post. Which I intend to publish soon.